The surest way to put a price tag on the value of experience is to forgo what it offers. Don’t allow the safety and convenience of your travel plans to be put at risk. Book your next private flight with a proven leader. Air Charter Industry: Affiliations and Involvement, Air Charter Safety, Financial Transparency and 3rd Party Reviews. Joel Thomas, The founder of Stratos Jet Charters, built his business with the belief that success is the inevitable result of a continual pursuit towards excellence coupled with the idea of doing what is right; simply because it is right. Thomas understands that success in business is not a static achievement to be obtained, but it is rather a sustained, ongoing effort to make things better. Stratos Jet Charters was born with a focus on driving value to air charter consumers. Over the years, our pursuit towards excellence has led to some serious recognition! Stratos has been recognized as leader in promoting safety in private aviation, our president Joel Thomas has participated in several events oriented around the role of an air charter broker’s in promoting safety and best practices. Recently, Thomas was a guest speaker at Wyvern’s annual “Stand Out With Safety Conference” and the Air Charter Safety Foundations annual “Aviation Safety Symposium”. Thomas has also served multiple terms on the board of the Air Charter Association of North America. Stratos Jets has voluntarily opened its books and business practices to Aviation Research Group, Inc. (ARGUS) through a comprehensive on-site audit. As an ARGUS Certified Charter Broker, Stratos has demonstrated its industry leadership through established best practices. The ARGUS certification process included an evaluation of our financial health, agent education program, emergency response program, our methods for vetting and approving air carriers and our methods for ensuring the quality execution of all charter flights. As a Wyvern Approved Broker, we are recognized to conduct fair business practices, Follow ALL regulatory guidelines, rules and principles, Offer clear pricing and have a demonstrated culture of safety. ACSF members all have one thing in common. A culture of safety. As one of a very few air charter brokerages that are members, Stratos is proud of its affiliation with the Air Charter Safety Foundation. The Air Charter Association of North America (ACANA) is an invite only nonprofit organization, which comprises the finest air charter providers in the industry representing combined annual revenues in the hundreds of millions of dollars. ACANA’s mission is to enhance and foster the air charter industry by promoting best practices and professionalism representing its members’ collective regulatory interests, and to educate consumers about the benefits of private aviation. ACANA’s mission creates a benchmark for excellence and professionalism that helps consumers make informed decisions about their air charter service provider. We don’t just say that we work hard to provide the best possible air charter service, our customers say it also. Stratos Jet Charters enjoys an A+ Rating from the Better Business Bureau. 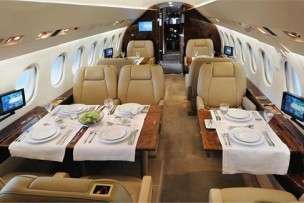 Chartering a private jet can be expensive. Trusting a little known broker with your hard earned money, not to mention your safety can be risky. Stratos Jets enjoys a Strong Financial Ranking by Dun and Bradstreet.